For Even The Largest Of Windows. Our Roman shades are specifically designed to provide the ultimate in sun protection, light control, and privacy. Better still, they can work on even the widest of windows or sliding doors. With the right choice of materials you can easily transform harsh sunlight into a warm light that can be spread out evenly throughout your room—maximizing daylight hours and reducing your need for artificial lighting. Our contemporary drapery panels, as well as our sheer fabrics, are also designed to filter out harmful UV rays that can prematurely age your floors and furniture. Like almost all of our products, our Roman Shade series also works well in Insulative applications helping to reduce your overall energy bill. Specialty hardware that conceals the headrail providing you with a refined and elegant appearance. 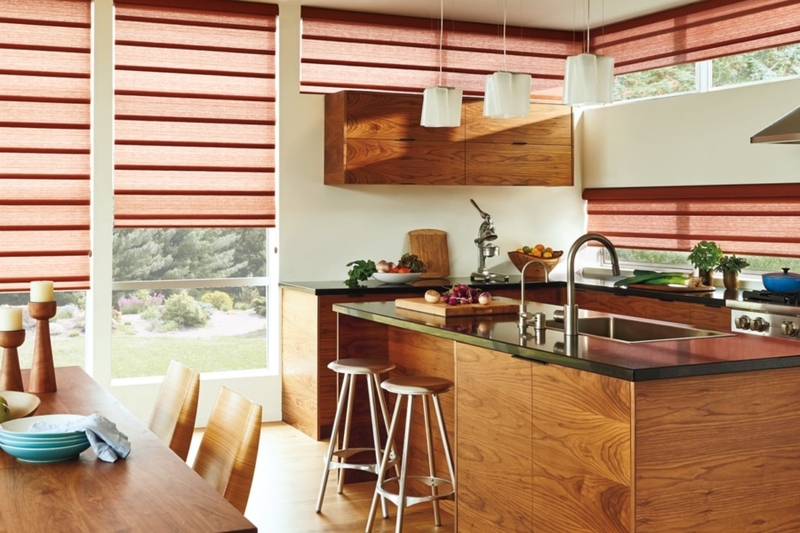 Advanced controls allow you multiple options for automated controlling of your shades. Luxurious fabrics and soft folds give Vignette® Modern Roman Shades a clean, crisp look with the added benefit of no exposed rear cords for enhanced child safety. 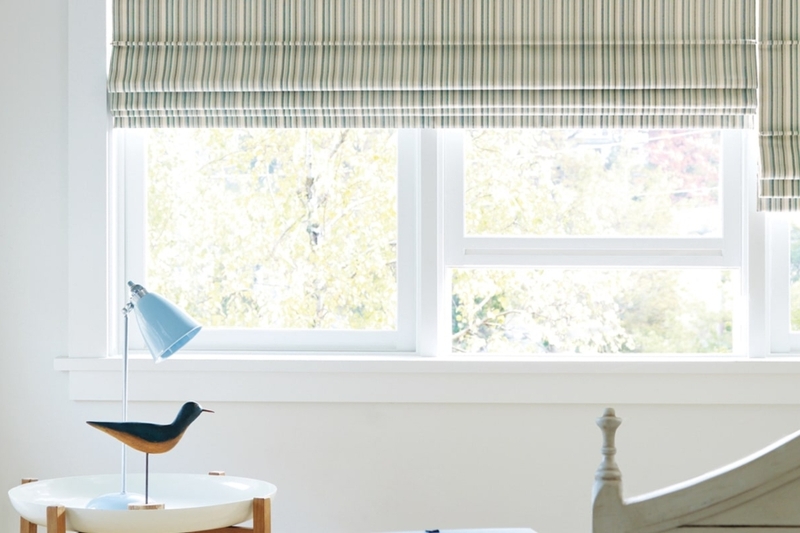 Offered in semi-sheer, light-filtering and room-darkening fabrics, and a range of styles and fold sizes, these shades are the perfect alternative to the traditional Roman shade. All of our Roman shades maintain a consistent, wrinkle-free appearance no matter how many times you open and close them. The durable fabric options are gorgeous and worry-free. Traditional™ features a 4” full fold or 6” flat fold and rolls up into the headrail. Tiered™ stacks neatly into a low-profile headrail for shallow mounting depths and is available in a 4” full fold. Vignette Tiered Architella® shades function in a similar way but offer a unique cellular design that traps air, creating an extra layer of insulation against heat, cold and outside noise for enhanced energy efficiency and sound absorption. Traversed™ with Vertiglide™ is a unique vertical product that uses a 4” full fold oriented in a vertical position. Shades stack right, left or anywhere in between.